Image Courtesy Justin Timberlake via InstagramOne of Justin Timberlake‘s biggest influences was the late Michael Jackson, so it must be especially thrilling for him to be featured on the King of Pop’s new posthumous album, Xscape. JT posted the single artwork for the track he’s featured on, “Love Never Felt So Good,” on Instagram. 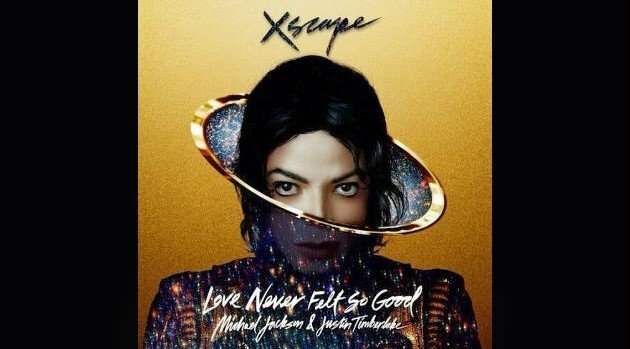 It shows a slightly different version of the album’s cover — a futuristic, photo portrait of MJ — with the song’s title written underneath it, followed by the words “Michael Jackson & Justin Timberlake.” The album, which features eight never-before-heard tracks, is due May 13. Justin’s buddy Timbaland was the lead producer on the project. The song will debut tonight on NBC.